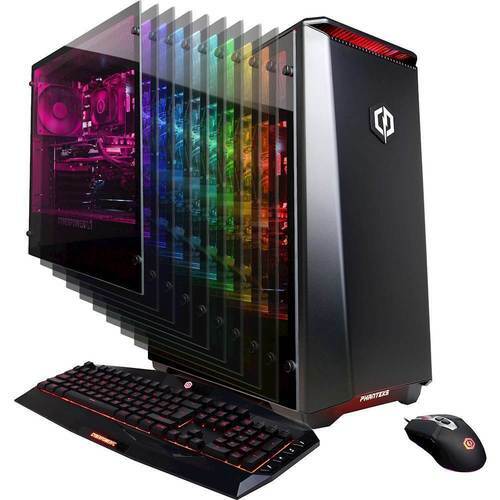 Defeat your online enemies easily with this CyberPowerPC BattleBox Essential desktop computer. Its AMD Ryzen processor and 8GB of RAM ensure smooth, fast responses in complex video games, letting you continue through adventures without lag. 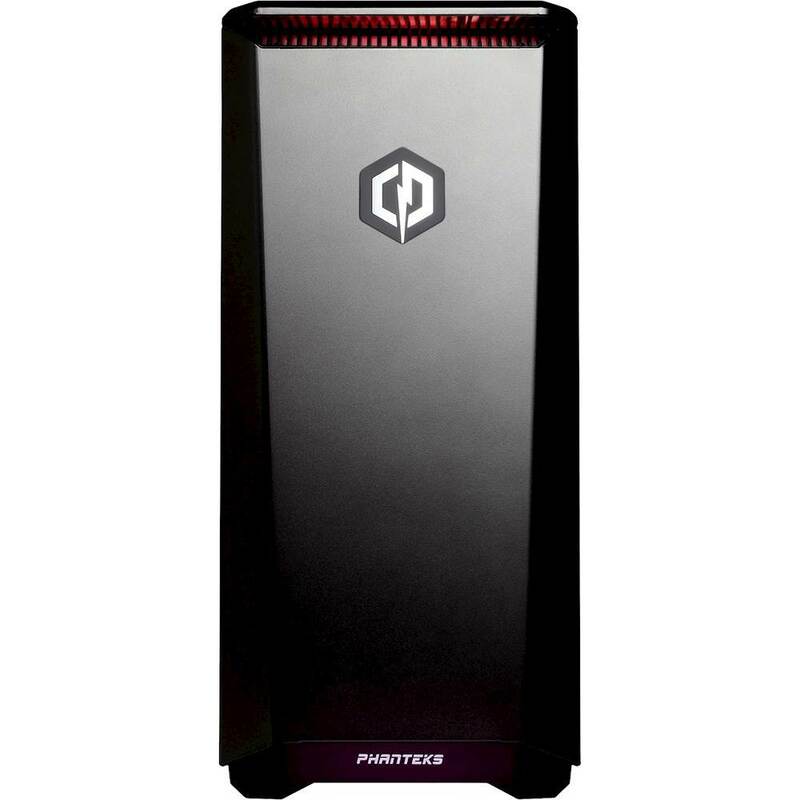 This CyberPowerPC BattleBox Essential desktop computer has a 1TB hard drive to provide plenty of file and document storage. AMD Ryzen 7 1700 processor Native eight-core / 16-threads processing delivers aggressive yet power-smart performance for advanced gaming, modeling and video editing. The AMD SenseMI technology customizes CPU performance to your applications. 1TB hard drive and 120GB solid state drive (SSD) for a blend of storage space and speed The hard drive provides ample storage, while the SSD delivers faster start-up times and data access. NVIDIA GeForce GTX 1060 graphics Driven by 6GB dedicated video memory to quickly render high-quality images for videos and games. G-SYNC compatible for smooth gameplay NVIDIA G-SYNC technology synchronizes the refresh rates in compatible monitors to the GPU in your PC, eliminating screen tearing and minimizing display stutter and input lag. Monitor sold separately. 2 USB 3.1 ports maximize the latest high-speed devices Also includes 4 USB 3.0 ports and 4 USB 2.0 ports to connect more accessories and peripherals. The USB 3.0 ports are backward-compatible with USB 2.0 devices (at 2.0 speeds). Wired network connectivity The Gigabit Ethernet LAN port plugs into wired 10/100/1000 networks. Additional ports Include microphone and headphone jacks, as well as DVI, HDMI and DisplayPort outputs.